The beauty of our landscape is what drew me and so many other artists to this area. This animated video is literally years in the making–I’ve been photographing the beauty of the land and animals here for a long time. 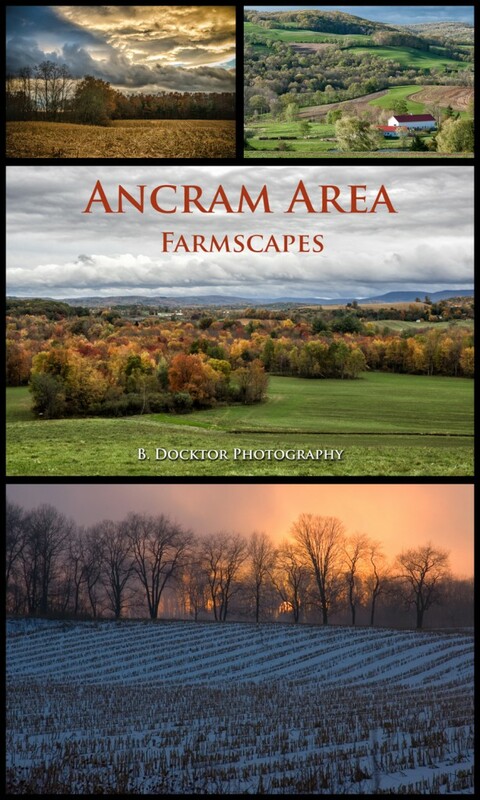 Several years ago I was asked to document the farms for Ancram’s Farmland Protection Plan. That got me on a roll and since then I’ve photographed at these farms which are all represented in the slideshow: Thompson-Finch Farm, Herondale Farm, Millerhurst Farm, Ronnybrook Farm Dairy, Coach Farm, Cricket Hill, Hillover Hillsteins, Chaseholm Farm Creamery, Pleasant View, Mill Farm, Shagbark Farm, The Horse Institute, Tollgate, Fox Hill, Hillrock Estate Distillery, Dashing Star Farm, Western Riding Stables, Black Sheep Hill, Golden Alpacas, Copper Star Alpaca Farm, and Buckwheat Bridges Angora Goats. The animated slideshow with music is a media form that I have been working in since 2008 when I created one to show the work and life of my father, the artist Irv Docktor. The digital world makes it possible to merge the images and music in a way that feels more like watching a film than looking at individual images–I just love it! It’s a great way to tell the story of a person’s artwork, a life story in pictures, or in this case, a love affair with a place. The transitions from one image to another yields some extraordinary effects with my photos of sunflowers that have been cultivated at nearby Coach Farm. I’d be honored to have you come see! Hudson Valley fine art photographer B. Docktor specializes in creating images of nature,landscape, and animals that are stunningly beautiful, peaceful, sometimes humorous. Images to tell the story of your farm or business. Or as artwork for your walls–these images have a peaceful and healing quality that make them especially suited for healthcare art in hospitals and medical offices. Please call me at 518-329-6239 to discuss a custom installation for your home or workplace.